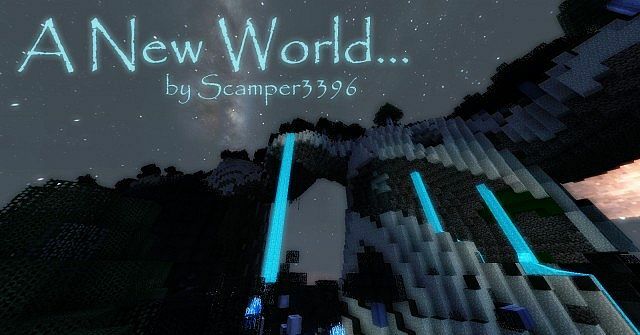 A New World Resource Pack 1.10.2/1.7.10 is a futuristic themed resource pack which is promised to make your old Minecraft world become completely new and different. This pack is supposed to make Minecraft look like its jumped a couple hundred (or thousand) years into the unknown. Blue is the color you’ll be seeing here, and all over the world too. Even biomes which naturally spawn with lots of trees, like the old oak trees with the giant mushrooms, will feature blue foliage and trees, grass and more. Deserts, normally a light kind of gold color, look deader than ever with sand which is a bone white. Could i make a minecraft map using this resource pack? ?